(ECM New Series B0016483-02). That is thanks to the artistry of Maestro Perenyi and the well-conceived, well-paced program. 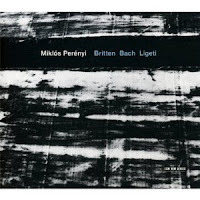 Benjamin Britten's Third Suite, Opus 87 (1971) starts things off brightly, with a diverse series of bravura virtuosi miniatures that gives full scope to the excellence of Perenyi's artistry without descending to the status of mere showpieces. It also alludes to J. S. Bach at the beginning, so setting the stage for the Suite VI in D Major that follows. The Suites for Unaccompanied Cello are some of Bach's most interesting writing, given the challenge of working around his usual complex contrapuntality through the limitations of what can be done with four strings. Of course the music is extraordinarily memorable and Perenyi's ringing tone and impeccable expressive technique allow the music to stand out as it deserves. Perenyi puts himself into the character of every movement as an actor playing a number of distinct parts in a play: jaunty, contemplative, tender, majestic in turn accordingly. Ending with Gyorgi Ligeti's Sonata (1948-53) is another solid programmatic move, since the contrast of baroque masterpiece and contemporary masterpiece freshens the ears and heightens attention. This is a short but seemingly difficult piece to play well and Perenyi triumphs by phrasing the whole so that the musical logic does not get distracted by what could be abruptly contrasting changes in articulation and executive mode. He heightens also the double-pronged contrast wrapped into the two short movements of the work: a singing, lyrical quality and an exciting dynamic aspect. To this end he gives forth with a truly gorgeous, clarion tone at times, and an empassioned expressivity at other times. The hour goes quickly. 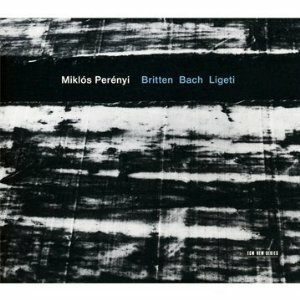 In the end it is a testament to Miklos Perenyi's fine artistry and a fascinating glimpse into three different takes on the cello alone, an aural centerpiece unveiling the sheer beauty of the instrument in the right hands. Grazyna Bacewicz (1909-1969), Polish composer of the last century, not well known in the States, returns (see September 13, 2011 posting) to our blog with an additional volume of Violin Concertos (Chandos 10533) as played by Joanna Kurkowicz and the Polish Radio Symphony Orchestra, Lukasz Borowicz conducting. This time out it's the 1st (1937), 3rd (1948) and 7th (1965) concerto, plus an orchestral overture from 1943. Kurkowicz's playing can be poised and lyrical or firey and tempestuous as needed, the orchestral sound and execution are very good and Maestro Borowicz conducts with elan and authority. As with the previous volume, the works span the length of her career. The seventh shows the most modern leanings and chromatic intensity, the third a lyrical modernism contrasted with chromatic-diatonic fire--with a very dance-like final movement--and the first showing a more neo-classical style, though expanded harmonically and melodically, and always fully Bacewiczian in sound. The debt to Stravinsky is sometimes apparent; other times, there is a definite originality that makes her stand out. Taken together the two volumes of violin concertos are a revelation. Here is a composer we should NOT miss--and here are performances that give us many reasons why. She orchestrates well but the solo violin is nearly always the central focus. After a near-lifetime of listening to particular works by Franz Schubert, it strikes me that his brilliancy is something we shall probably never experience again on this earth. At least not quite like this. His melodic-harmonic genius, his feeling for development, are and perhaps always will be unparalleled. That of course is not to say that others have not and will not do other brilliant things, but there is a purity of intent in Schubert's best works that one can only marvel at, and if you are like me, experience as a high point of musical life. These thoughts cross my mind as I listen to a new recording of Schubert works for violin and piano by Carolin Widmann (violin) and Alexander Lonquich (piano). 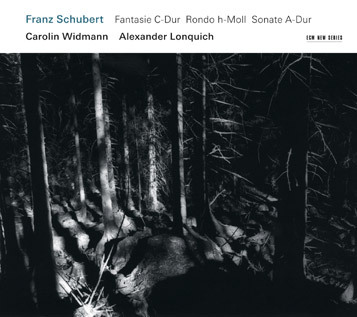 The Fantasie D-Dur / Rondo h-Moll / Sonate A-Dur (ECM CD B0016487-02) recording by the duo is as brilliant as are the works, as is Schubert. Widmann and Lonquich are hardly self-effacing in their treatment of these three pieces; they revel in the passionately expressed interpretation that brings out the architecture and poeticism of the works while simultaneously showing the performers' considerable musicianship and togetherness. Their brilliance is put brilliantly to the service of Schubert's brilliance. The "Fantasie" and its haunting opening theme is marked by passionate bravado in the violin and some extraordinary execution of the surrounding piano cascades. The "Rondo" has a stately yet quite subtle brio to it in Widmann and Lonquich's hands. The "Sonata" has a bittersweet quality that the duo brings out beautifully. Schubert uses some themes, as in the opening movement, that echo strains of Austrian popular music, yet are brilliantly transformed and developed throughout. Widmann and Lonquich's bring out the contrasting thematic moods with playing exemplifying sympathetic and loving attention to the music at hand. This is wonderful Schubert, ravishingly performed. I surely will return to this recording time and again as a beautiful example of poetic and spirited performances of the works. A triumph! Mixology, MC style, has come of age as an avant art form. It's come quite a distance from the disco days when a dj could get a couple of recordings going in synch and augment one finished production with another, or with the same disc on a second turntable. Not to take away from those days and the subsequent early development. It could be cleverly done. But it wasn't art. Not then. Today you have DJ Spooky and other sophisticated mixologists who aspire and sometimes attain the status of composer, even "serious" composer. 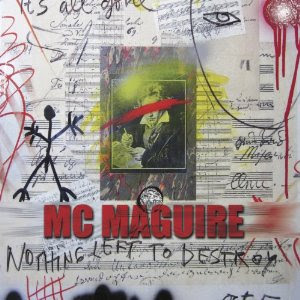 MC Maguire, with the aid of his CPU (read computer) has most assuredly catapulted over the top of dance music to create two full length concertos on Nothing Left to Destroy (Innova 813). It's a melange of collage materials, acoustic, natural, electronic, noise, music as a kind of orchestra pitted against violinist Benjamin Bowman for "The Discofication of the Mongols" and against flautist Douglas Stewart for "S'Wonderful (That the Man I Love Watches Over Me)." These are madcap juxtipositions of the aural kitchen sink avec soloist. The first piece starts with a "slower" quasi-modal tonal centered violin part and a soundscape that ever-transforms in virtuoso sound manipulation sequences. It gets more and more frenetic as it goes along, more and more there is the CPU orchestra as contrarian, even antagonist to the soloist. It's a fascinating listen. The piece for flute and CPU bears some relation, now covert, now somewhat overt, to some old pop standards (hence the title). It is busy and turbulent, with the beauty of the flute part making itself known over the trashcan aesthetics of the CPU virtual orchestra. The music may come out of a DJ stance, but its principal forbear I suppose you could say is John Cage and his live and tape manipulated collage pieces consisting of various prerecorded "found objects"--in his 1950's electronic mix pieces, and in the second phase, with live collaging beginning notably with "Variations IV." But I suppose you could also say John Cage (aided by his often-assistant David Tudor) was the first MC! What counts in the end is the finished work--the two pieces presented for us on this disk. They are noisy, chaotic, anarchic but not formless. And in their own way they are beautiful. Recommended for the Gyro Gearloose in everybody. Welcome to the future? 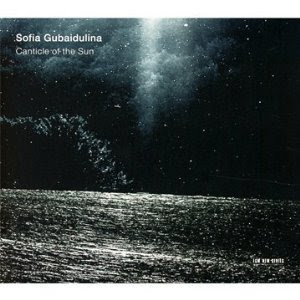 Sofia Gubaidulina is one of the originals of our era. A new release comes to us from ECM this week, confirming and extending that idea. Canticle of the Sun (ECM New Series B0016445-02) presents the title work as performed by the Riga Chamber Choir, Maris Sirmais conducting, with Nicolas Altstaedt as cello soloist plus two percussion and celesta. The disk also features the world premiere recording of "The Lyre of Orpheus" with Gidon Kremer as violin soloist, Marta Sudraba, cello soloist and the Kremerata Baltica. Both works are substantial, well performed and sound terrific. Gubaidulina makes a music with much space, ethereal headzone quietude and her own kind of tutti confluence. All the hallmarks of her mature style coexist in both works/performances: "Orpheus," a kind of meditative orchestral piece with prominent violin and cello solo parts; "Canticle," a choral essay combining echoes of Orthodox chant and post-serial expressivity, the old and the new. Ms. Gubaidulina so deftly interweaves such things in her best work. This is part of what makes her one of those great new Eastern European composers to my mind, contemporary in the most current sense. It is an enthralling set of performances of music that helps define the world we are in. 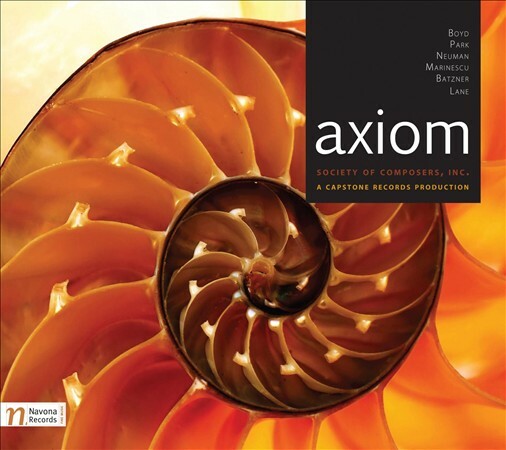 Axiom (Navona 5856) is the 26th volume of the Society of Composers, Inc. CD anthology series. 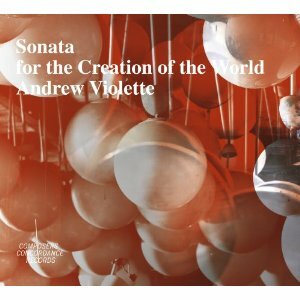 It consists of six diverse compositions by six composers from around the world. You may not be familiar with the composers (I certainly wasn't with most of them) and in part that is the point, to introduce music by composers who deserve a hearing. So there are works by Michael Boyd, Joo Won Park, Israel Neuman, Liviu Marinescu, Jay C. Batzner, and Peter Van Zandt Lane. There are electro-acoustic soundscapes, pieces for conventional instruments and electronics, pure electronic music and a chamber work. All are worth hearing. If this is a gauge of where new music is today, it shows that there is a multi-stylistic eclecticism prevailing. This of course doesn't contradict my experience of surveying the music being recorded and listened to over the last decade, and in many ways that has been true of the overall situation in the last 100 years. New styles coexist with older ones, composers work in any number of directions in any given synchronous "now". Perhaps though we have today a world where no one style dominates as the main innovative force, such as serialism did in the '50s of last century, or late romanticism did in, say, the '10s. We live in the present, necessarily. Someday music historians may look back and identify a style trend happening right now as what was important for the era. It is not clear on the ground if that will be so and, if so, what that will be. Certainly not in terms of this anthology. The works represented here do not show a marked tendency to incorporate non-formalist vernacular into the modernism the works espouse, for example. We've seen that can be a factor in the music heard lately in other circles. This hardly matters in terms of the music presented in this anthology. It is well-wrought and advanced music in the best sense. Whether it represents the most viable trends in composition world-wide is probably moot. It's interesting music, after all, and what more should we expect? Pianist Javier Perianes, the BBC Symphony Orchestra, and conductor Josep Pons collaborate for a beautiful version of Noches en los Jardines de Espana (Nights in the Gardens of Spain) (Harmonia Mundi) for piano and orchestra. Maestro Perianes gives us a rather delightful selection of de Falla's solo piano works as well. The end result is top-notch de Falla, played with luminous transparency, with the Spanish element and the interpretive impressionist element balanced well. The Jardin orchestral work in this performance is filled with the perfume of the flowers, the fresh but sultry feel of a tranquil space in time in the season of full blooming, with the magic of the night and its reveries. It is a very sensuous and not-too-romantic version, which to me most closely approximates de Falla's intentions and reveals the work in all its originality. The piano solo pieces are marvelous companions to the main work. They too have shimmer and a very Spanish melodic and rhythmic element. The works cover a broad spectrum of de Falla's career, from the rather early but highly evocative 1906-09 "Cuatro piezas espanolas" to the 1935 "Pour le tombeau de Paul Dukas". Javier Perianes seems an ideal de Falla interpreter. And this is some of de Falla's most spellbinding music. Highly recommended. Life in the United States, in my generational view anyway, is a life of continual loss. You lose things. A piano, friends, a house, a job, parents, your car keys, that important note you wrote to yourself, your youth. And then you (one hopes) gain things too. There's always new music, for example. Here today is something to gain. It's the music of Valerie Kuehne, in the guise of the group Dream Zoo. She writes the music, plays cello, and sings what is variously dubbed classical, experimental, melodramatic popular song, avant cabaret. Like Friday's music it has a bit of a sprechstimme (speech-song) aspect, which of course cabaret always has had, presumably well predating Schoenberg's "Pierrot". So there's a six-song self titled album Dream Zoo (self-released) which you can listen to on Facebook and My Space, and can buy as a download on Bandcamp (Facebook links you to them). Now I must caution you that this music may be an acquired taste (it was for me) so that hearing some of it while staring at a computer screen may not be the best way to experience the music. It's music that has a cerebral-emotional intensity, modern expressionist chamber music if you like, and the first hearing, especially in less than ideal circumstances, may put you off. The lyrics are about a dissociative surreal metaphysical angst in an everyday dream world. I am not sure Ms. Kuehne would put it that way, but it hit me that way. It is music that grew on me to the point where I now appreciate it...like it, even. First time through I almost hated it. But that's something I lost as I listened time and again. If you download the album and do as I did, you may find that you feel the same way. Schoenberg's "Pierrot Lunaire" brought the art of sprechstimme into the vocabulary of new music. Speech-song stays with us in various ways. 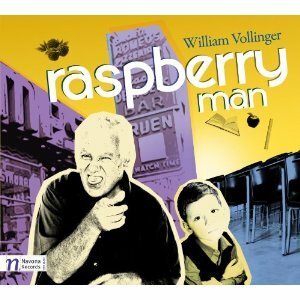 One highly idiomatic and funny way is with William Vollinger's Raspberry Man (Navona 5857), a short ten minute, two work single CD. The title work is a chamber piece for small group and singer-recitator. The composer does the vocal part; the Juventas Ensemble takes on the instrumental parts. "Raspberry Man" is a wryly funny sung-spoken story that skillfully combines modern chamber music compositional style with an amusing story about a fellow who stood outside Jack Dempsey's Restaurant in Manhattan and gave passers-by the raspberrys. Electronic music? It still continues on out there. The great composers who worked in the medium helped change the texture and periodicity of music last century and helped accustom audiences to sounds that now form a routine part of rock, pop and hip-hop records listened to by mass audiences. Of course the structural-timbral advances that such composers made possible live on in the original works. Now that we all are familiar with the sounds, we can return to the originals and evaluate them as music rather than as a shocking new aurality. At the same time there are composers still working fruitfully in the field. One of them is Hubert Howe. His album Clusters (Ravello 7817) gives us seven relatively brief works realized in the six years between 2006-2011. All relate to one another as soundscapes of sustained electronic clusters (hence the title of the album), the electronic music equivalent of orchestral harmony, albeit in exotic timbres with as much or more noise-aggregate simultaneity than conventional harmony per se. 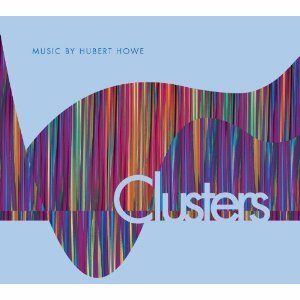 Howe composes and realizes these aggregates in ways that show an inventive sonoric ear and a feel for variety in continuity. You who know little of electronic music and you who have sampled and studied a great deal of it--you both will benefit from this very interesting set of pieces. Give it an earful. There is no stopping new music. Leaving aside the question of who would want to do that, if we look for it, it is everywhere. It may not get much media coverage. It may not be listened to by millions of teaming throngs of admirers, but it continues on day-after-day, year-after-year, its creators making a living at it in some way if they are to continue, hoping for a time when their music is recognized, or perhaps basking in the limited sort of recognition available to them in the contemporary world. Today we take a look at another such composer and another such group of performers--all going at it with conviction and perhaps some courage. I speak of Utah composer Neil Thornock and a group of performers that includes the United States Coast Guard Saxophone Quartet (didn't know they had one!). 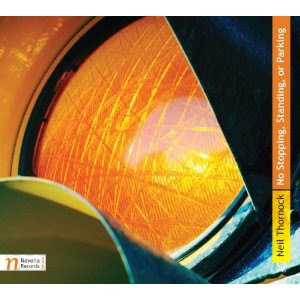 The album is called No Stopping, Standing or Parking (Navona 5861). It's six of Thornock's works, all involving at least one saxophone. There is a piece for solo soprano sax, one for flute and alto, one for alto and harpsichord, one for alto, tenor and piano and two for sax quartet. Thornock has a tendency to write music that moves along (so the title of the album is quite appropriate) in ways that have to do with the interlocking motion of Balanese Gamelan, certain forms of avant jazz and rock, and minimalism (though here the repetition factor does not play a prominent role in the music and mostly is only present for a moment as a soon-to-be varied or developed motif). Now that movement does not apply especially to the slower movements and passages that are peppered here and there throughout the program. But it does serve to encapsulate the Thornock musical personality on display. What his music does often do is develop developmental music dialogs that get punctuated by short tutti phrases of a rather emphatic nature. Sometimes there are longer emphatic interactions as well, especially in the pieces for sax quartet. It is music that is in its own way "in the air." There's a hectic pace of life in much of the post-industrial/industrial world we are in, and art in this case imitates life. That is not to say that Thornock's music is not original. It is. It's driving. It's exhilarating. It charges forth. And it's very well played on this disk. Andrew Violette wrote a monstrously long work for organ, Sonata for the Creation of the World. He performed it last year at the Baptist Temple in Brooklyn, NY. It was recorded and can now be had as a three-CD set on Composers Concordance Records (COMCON6). It begins with some long drones and held chordal blocks, gets moving somewhere around midway with sonorities that show a lineage with Messiaen's celebrated music for the instrument, and then concludes with a lengthy chromatic/diatonic movement that has a chorale feeling to it, though it does not break readily into smaller phrase lengths but rather gives out with harmonic progressions that seem almost infinite. The melodic content becomes more ornate as it progresses and it does have a kind of mystic feeling to it suitable to the genre and programmatic content. At three full CDs this is a huge amount of music to digest. I've spent nearly a month listing to each section rather intently and in the end I still have not wrapped my ears around the whole. There's so much of it and it would be quite difficult to listen to the whole thing in one stitting. I never did, anyway. The final movement can be downright tiring on the ears. I come away from it with a feeling that there are parts that appeal to me (the first four movements) and parts that do not because they do not seem entirely coherent and/or digestible (the very long final movement). It will certainly interest diehard collectors and appreciators of the organ repertoire. Whether on listening repeatedly they will become convinced that the whole is cohesive, coherent and justifies its colossal sprawl I do not know. I will leave that up to them. As for me, I may stick to the earlier, shorter movements. Chamber opera has the advantage of immediacy but of course does away with the "grand" spectacle of a full production. 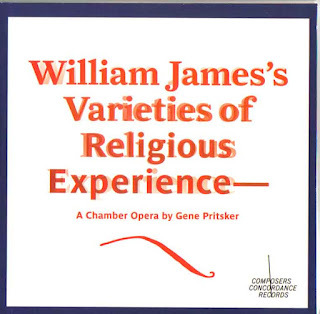 In many ways the chamber format is the ideal medium for Gene Pritsker's William James's Varieties of Religious Experience, the recording of which will be officially released in several weeks (Composers Concordance 007) (but would appear to be available already on the internet, at least as a download). I say ideal because it is a dramatisation and operatic treatment of a lecture given by the American philosopher William James in the early days of the last century. 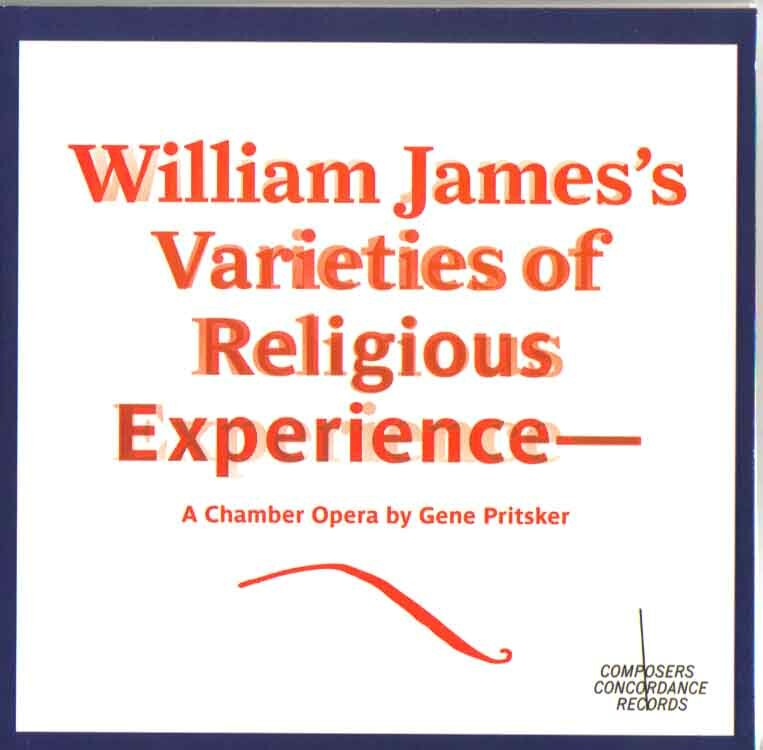 The lecture itself was meant for a small attentive audience and the testimony it quotes from at length describes first hand a number of different lived religious experiences; the intimate nature of the lecture and the disclosures seem best suited for the smaller chamber opera situation. The nearest contemporary work analogous to Pritsker's Experiences would be to me Michael Nyman's The Man Who Mistook His Wife for A Hat, like Experiences a one-act chamber opera, in this case based on a well received book by neurologist Oliver Sacks describing a rather different set of lived experiences. Experiences builds around a chamber ensemble of two electric guitars (Gene Pritsker and Greg Baker), cello (Dan Barrett) and contrabass (Larry Goldman). An announcer and a narrator (as William James) take on spoken parts. The four testimonials are sung by Marc Molomot, Lynn Norris, Chanda Rule and Charles Coleman, respectively. there is a contemporary rock element present in the interlocking parts for two guitars. Then there is the contemporary classical element in the cello & contrabass parts, an operatic and a gospel element in the vocal parts. All this comes together nicely and memorably in the work. It is yet another convincing example of Gene Pritsker's originality and distinctiveness as a composer. It should interest and delight those who seek the "new" in new music. This is indeed new! Charles Koechlin (1867-1950) was a maverick. 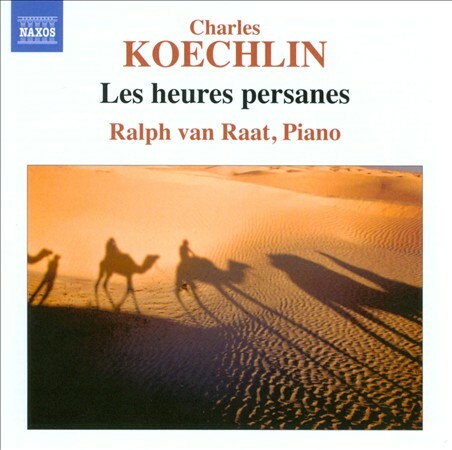 While the cutting-edge music of France was the impressionism of Debussy and Ravel, Koechlin went beyond into a territory few occupied at the time, and none like he did. His Les heures persannes, in the version for solo piano, was written between 1916-19. The 16 pieces have a modern bite to them, a more complex and pan-tonal harmonic-melodicism than the impressionists, and a broader dynamic from very soft to fire-drill ultra fortissimo. Pianist Ralph van Raat has recorded the cycle, which is great because it is available on Naxos (8.572473) at their budget price. Van Raat gives us a sensitive yet turbulent reading, lingering over the hushed mysteries and driving with passion in the edgier sections. This is first-rate Koechlin and it is first-rate Ralph van Raat. 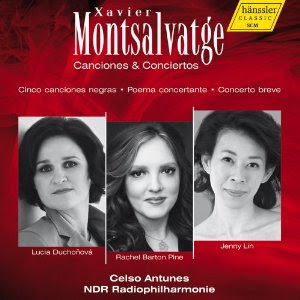 Xavier Montsalvatge (1912-2002) does not ring many bells among modern classical listeners over here in the States. Why his music has not been exported very much I do not know. I only know that I too am not very familiar with his music. So when I had a chance to review the disk produced for the centennial of his birth, Canciones & Conciertos (Hanssler Classics 98.642), I readily accepted. It is a full disk of orchestral songs and concertos. The NDR Radiophilharmonie takes the virtual stage here, Celso Antunes conducting. From the evidence of this music, Montsalvatge has a somewhat eclectic stylistic range that he occupies with grace. 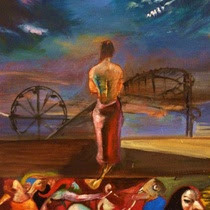 Often prominent is his use of the rhythms and tonalities of his native Spain--Catalonia, to be specific. There is an element of neo-classicism a la Stravinsky present in the "Poema concertante," the "Cinco canciones negras" and "A la espanola," the latter a brief movement from his "Tres danzas concertantes." There is much to like in these three pieces. Rachel Barton Pine handles the solo violin part elegantly for the first work; mezzo-soprano Lucia Duchonova convinces on the song suite. The final work, "Concerto breve" combines romantic bravura with Spanish rhythms and a touch of the modern harmonic tang. Jenny Lin does a good job with her impassioned pianism, and there are passages that delight the listener with well crafted melodic turns, stirring orchestral tuttis and lyrical atmospheric quietude. The occasional Rachmaninovian piano bombasts to me mar what otherwise is some very interesting, captivating music. So there is my take. This shows us a very good compositional craftsman with intimations of brilliance. The music is well played and there is little doubt that here we have a modern Spanish composer who deserves to be heard more often. 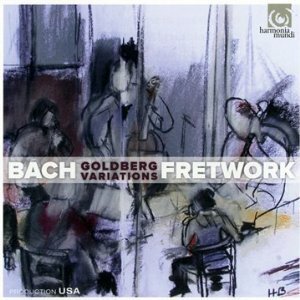 The sheer truth of the matter is that Johann Sebastian Bach's Goldberg Variations, like many of his other keyboard works, has such brilliant part writing that it readily lends itself to arrangement for different instrumental combinations. That is brought home forcibly with Richard Boothby's version for a consort of viols, performed movingly by the group Fretwork for I believe a 2-CD set (my download review copy is 90-minutes of wonderful Bach) on Harmonia Mundi. There have been versions of other Bach works for expanded instrumentation, his "Art of the Fugue" and "Musical Offering" come to mind as especially well done in previous years. This Fretwork recording earns a top position as one of the most distinctive of them all. The special early music archaicism of the consort gives this music a radical new resonance, bringing out the parts in colorful pastels and throwing in relief the distinctive intertwining of part with part. It convinces me that Bach's architectural keyboard counterpoint retains and even increases its brilliance if arranged for the right sort of instruments and played with expressive care, which is certainly the case here. It is a joyous experience. Bach adepts and general music lovers will find this recording a sweet revelation I would think. I did. Howard Hanson (1896-1981), American composer, came into his most original incarnation in his later years. His Symphony No. 6 (1968), Lumen in Christo (1974) and Symphony No. 7 "A Sea Symphony" (1977) mark out a Late Romanticism that was wholly his own. Gerard Schwarz and the Seattle Symphony Orchestra and Chorale give us some nicely done interpretations of all three works on their final volume of his complete symphonic cycle (Naxos 8.559704). The Sixth has an extended sonority that stands out for its orchestrational brilliance, expanded tonality, thematic dramatics and effective use of the percussion section. 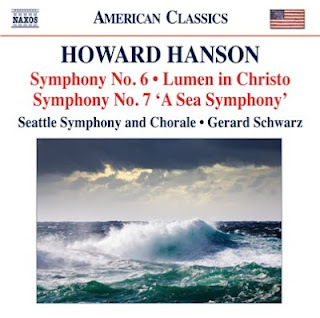 Lumen in Christo has some beautifully contemplative passages for chorale and orchestra, flowing, a waystation into Hanson's mature contemplation of the mysteries of his belief and faith, beautifully sung and played under Schwarz's masterful evocation. The Seventh is the symphonic farewell, a symphony of the sea. Hanson works out an encompassing and original harmonic-melodic sequencing, initially stating a thematic cell with quiet juxtipositions of fifths that ultimately deviate like waves breaking their symmetrical linearity, with waves of gradual crescendo and decrescendo for chorale and orchestra that give us a mimesis of the ebb and flow of the sea, of the tides in their ceaseless action. It is a very poetic and moving work. Those who don't know Howard Hanson's music would do well to start here. Schwarz and the massed forces of the Seattle Symphony give us a modern but romantically empassioned reading of the works in fine sonic spendor. A very fitting capstone to Schwarz's symphonic cycle and well recommended. 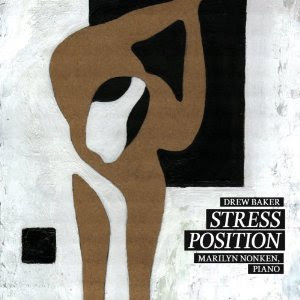 The piano meets a new world of sound on Stress Position (New Focus 116). Pianist Marilyn Nonken acquits herself well as the piano soloist, ably assisted on "Gaeta" by Drew Baker, second piano, & Sean Connors and Peter Martin on water percussion. 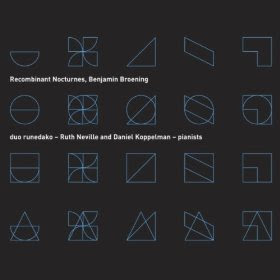 It's an interesting collection of works in the new avant classical mode, which means it seeks to realize sound textures more than produce an abstract canvas of expanded, jagged tonality. So in "Gaeta" we have atmospheric water percussion murking and droning to set up inside the piano and otherwise contextual key-sound expansions. "Asa Nisi Masa" has very quiet beginnings and a wistful sort of sparse note and cluster ambiance. "Gray" continues the mood with very quiet emptiness punctuated by delicate tone reminiscences from an unspecified life-past, if you will. "National Anthem" has more of that and completes the mood. The finale, "Stress Position" amplifies the piano for a rhythmical tattoo that starts in the very lower register and builds, adding higher frequency clusters. Not to be flip, but it does remind me of the sort of thing one did on the piano as a kid to imitate Native American music. It's well done at that, though. In the end one is left with a feeling that a very definite compositional mood-set and ambiance has been put forward with success and a discerning sound-tone painting talent. Don't expect Chopin and listen on its own terms and you will no doubt get something good from it.